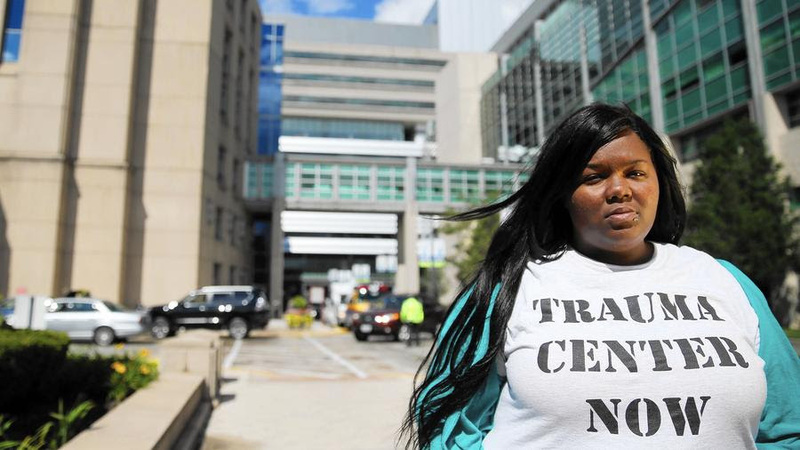 STOP | Southside Together Organizing for Power: TRAUMA CENTER WON! After 5 years of struggle, we have won a major victory: the University of Chicago Hospital will invest $40M to build an adult trauma center for the South Side at Holy Cross Hospital. This victory is the direct result of the the commitment, perseverance and bold leadership of the young black leaders of Fearless Leading by the Youth, their allies and the Trauma Care Coalition they have built. While we celebrate this significant victory, we acknowledge that the decision to keep trauma care away from the University of Chicago Hospital is rooted in racial exclusion. Large parts of the South Side, including: Kenwood, Hyde Park, East Woodlawn, South Shore, and South Chicago will still be more more than 5 miles from a trauma center, which is the crucial distance to ensure good access to trauma care. This is why we must continue to fight for the University to make good on the commitment they made in December to raise the age limit of their Children's Trauma Center from 16 up to 18, in fact it should be raised to 21. While we acknowledge that we still have more work to do, lets celebrate this significant step toward a more equitable distribution of resources in the city, and celebrate the leaders who led this fight, who developed over the course of these five years into powerful voices who will continue to fight for justice. We want to thank all the individuals who have contributed to support this work for the past five years. We also want to give a special thanks to the foundations who have supported this campaign through the years: Woods Fund of Chicago, Wieboldt Foundation, Crossroads Fund, Leo S. Guthman Fund, Albert Pick Jr. Fund, and Cricket Island Foundation. Please consider making a donation today to ensure that this work is sustained and grows, click on the Contribute button now.